The Pacers' Thad Young dunking against the Hawks on Dec. 31. 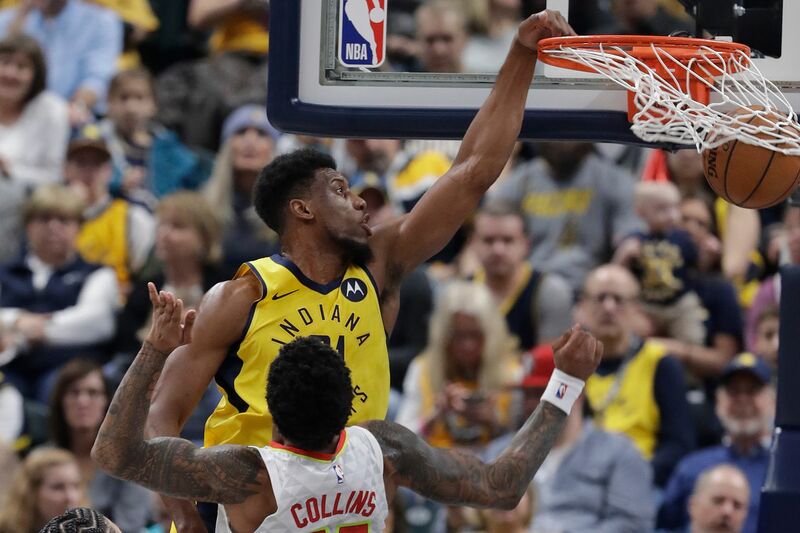 INDIANAPOLIS — Keith Pompey talks about what the 76ers need to do to beat the Indiana Pacers on Thursday night in his latest Locked on Sixers podcast. He also says that Thad Young continues to be a big loss for the Sixers, who traded him after the 2013-14 season. And Pompey gives an inside look at his life on the road as an NBA beat writer, especially in Indianapolis.